First a little caveat. 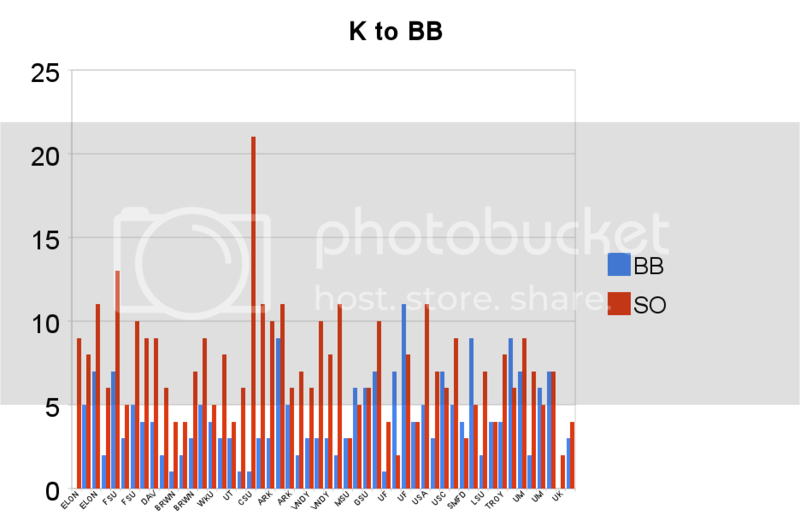 I’m a sucker for graphs. This clip from “How I Met Your Mother” Should explain. Me= Marshall. 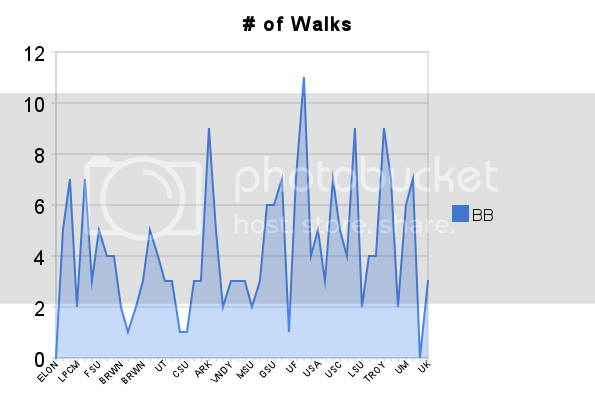 So now on to the Auburn baseball graphs. 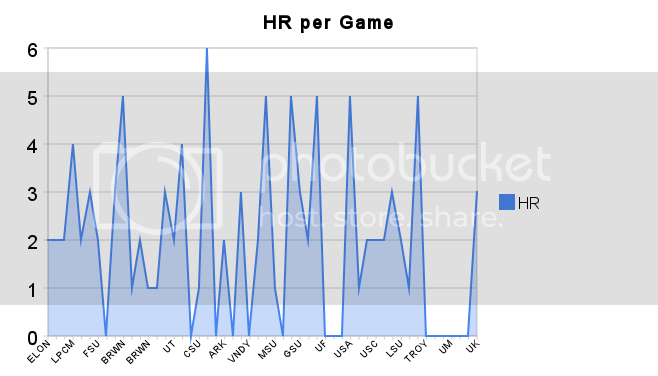 The number of HRs per game fluctuated wildly with huge spikes coming in the various non conference snaky cake games. 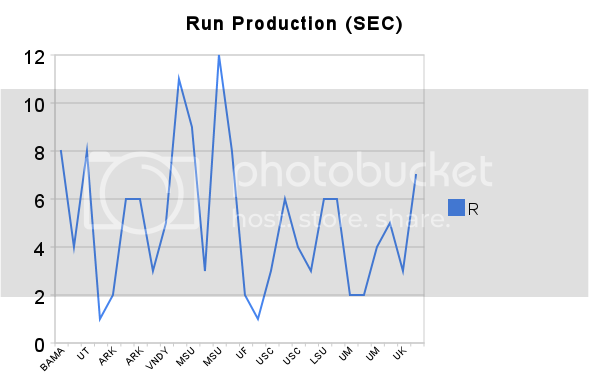 However, it’s no surprise that in Auburn’s two late season slides (beginning at Florida and the final stretch with Ole Miss and Kentucky that ultimately sealed AU’s fate). The Power just dried up. Once the power tried up. 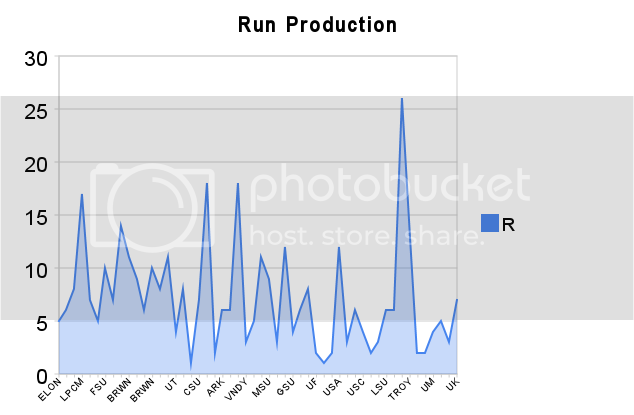 So did the Run Production. 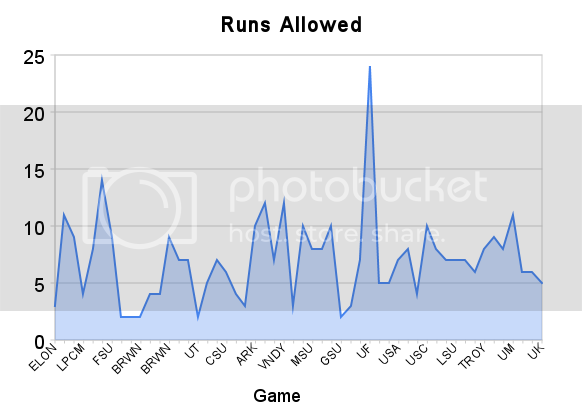 Ignoring the abnormality against Troy; the number of runs per game steadily began to decline and never was able to cross into the “safe zone” of 5-10 runs per game. 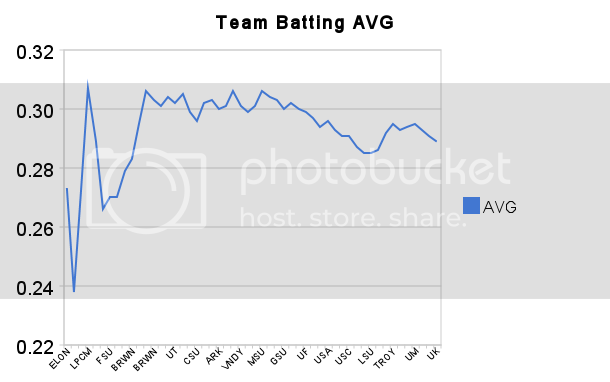 You can see, when Auburn hit it's biggest slide, the team BA started to slope downward. 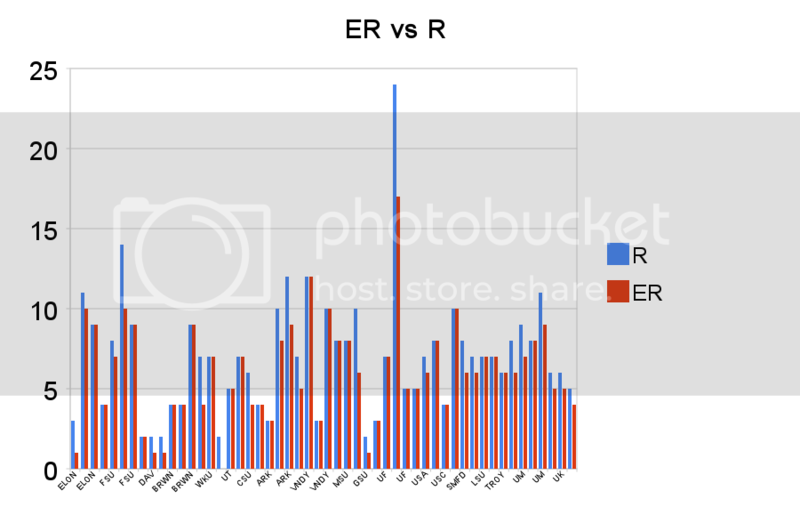 Those times when the Red bar is higher or equal to the blue? That’s not good. Not good at all. 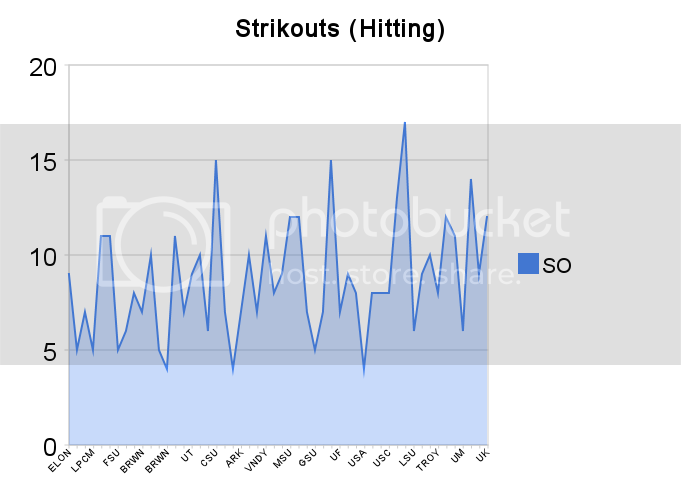 Finally, just how dependent was Auburn on the HR to spark the offense? 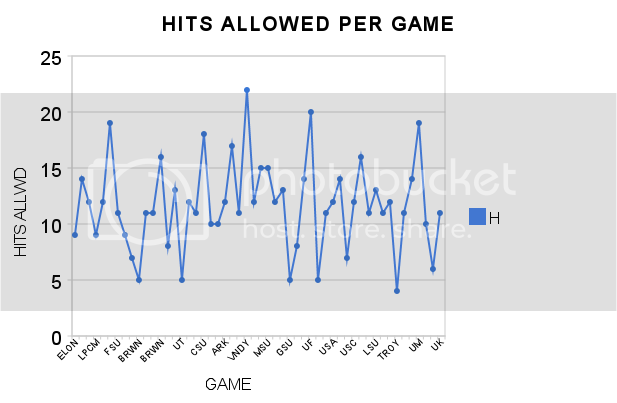 The red is runs created by Homeruns. 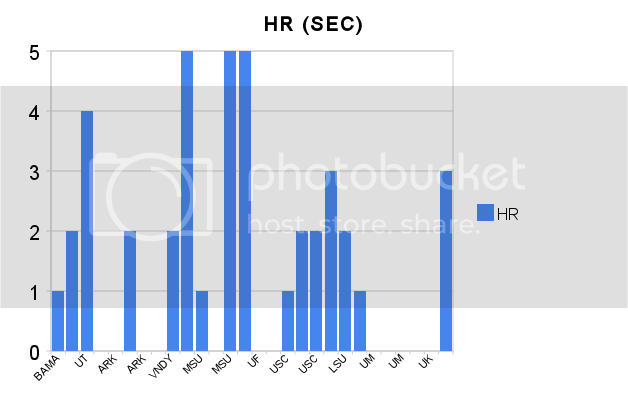 You can see that earlier in the season there was a good balance; towards the end of the year, as the power left, so did the wins and Auburn became heavily dependent on the HR. 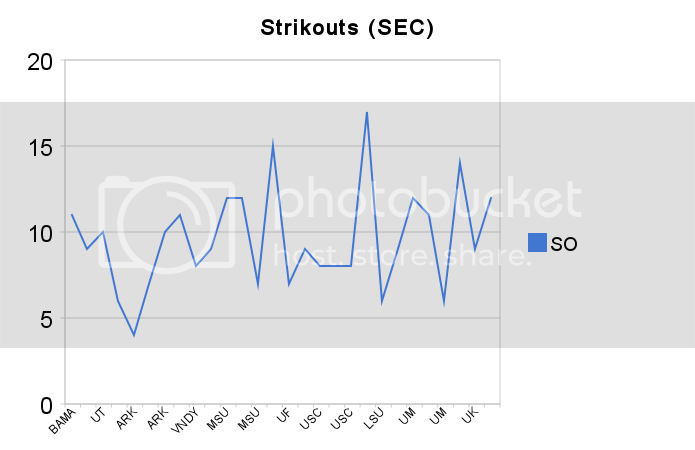 but you can still the Valleys where Auburn Hitters just couldn’t figure out SEC arms. 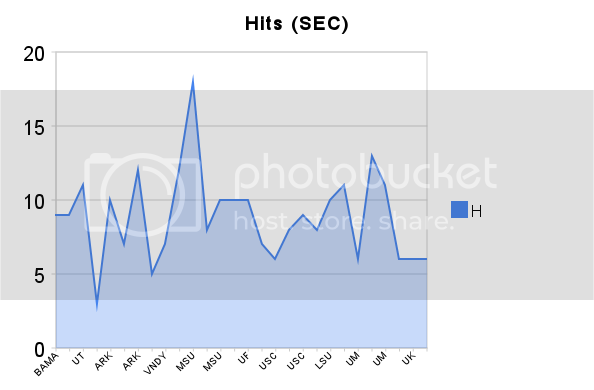 That huge spike in KOs and drop in hits? 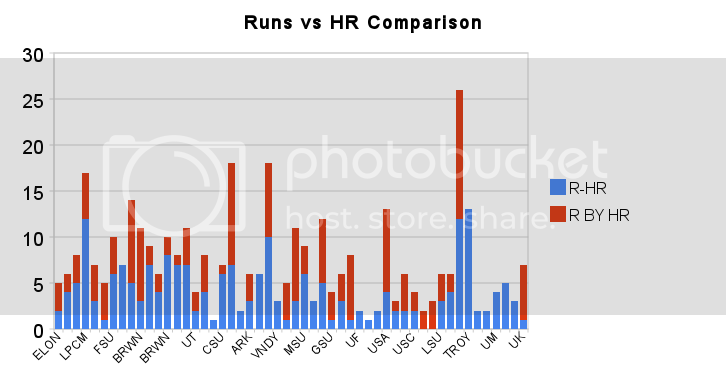 That would be the UK series and the series that ultimately spelled Auburn’s doom. To put it simply: the series we won? 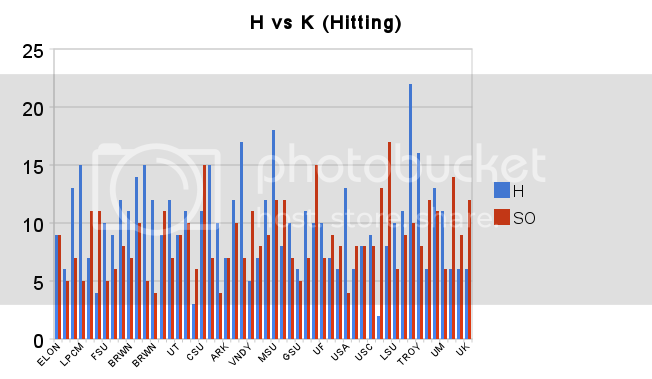 We hit HRs. The series we lost? We went cold. 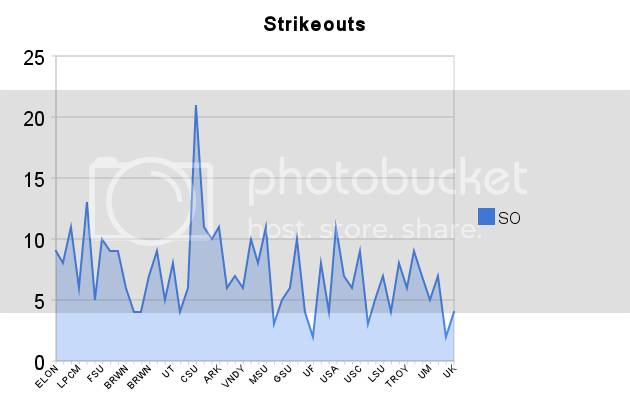 You can see the blue become significantly evident towards the end of the year. 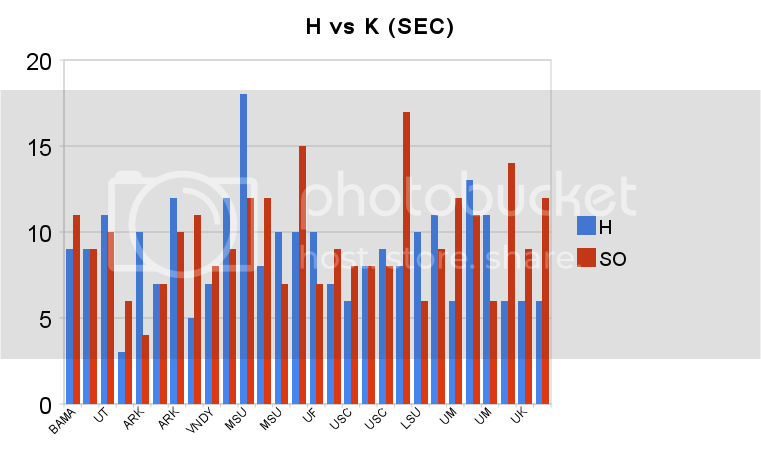 No surprise that that was the same time Auburn began its losing ways.